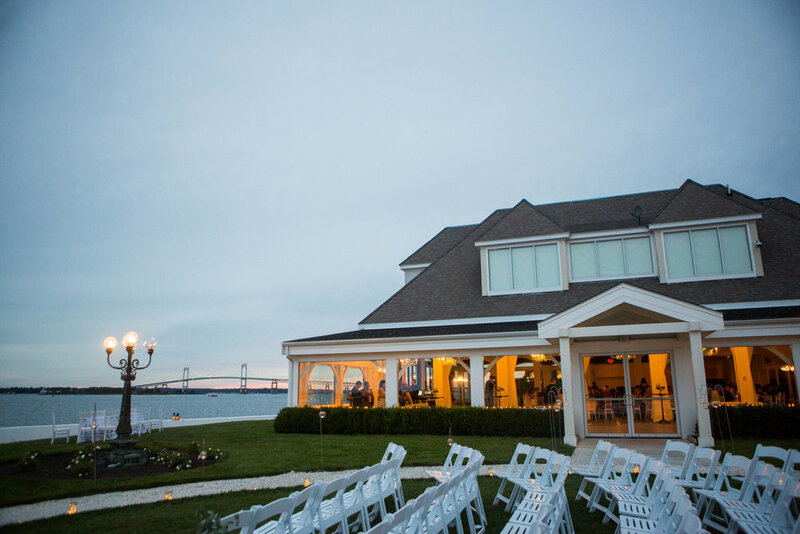 Venturing from Little Compton's historic Stone House to Newport's iconic Belle Mer: A Longwood Venue, the weather could not have been more perfect for an ocean front ceremony and reception. With two color palettes chosen for the wedding we transitioned from simple greens and whites with pops of light blue for the outdoor ceremony to bright and vibrant reception flowers. Keeping in mind that M & J wanted to support local growers, the flowers used were sourced from (our parent's) Young Family Farm and Weatherlow Farms. M & J were delightful to work with from beginning to end. Congratulations!